SH2OUT is an affiliation between British Triathlon and the Royal Life Saving Society UK. 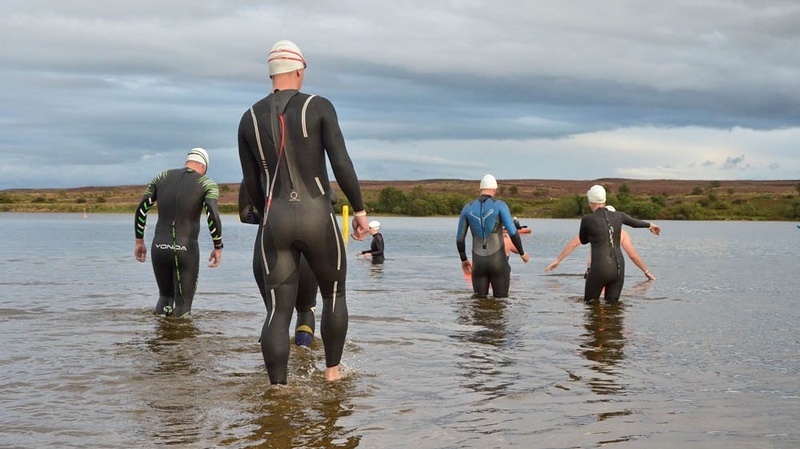 They have recognised the growth of open water swimming and provide guidance to venues to develop its existing infrastructure to ensure a safe and enjoyable environment for new and existing swimmers. Every Tuesday 5:30 until 7:30. 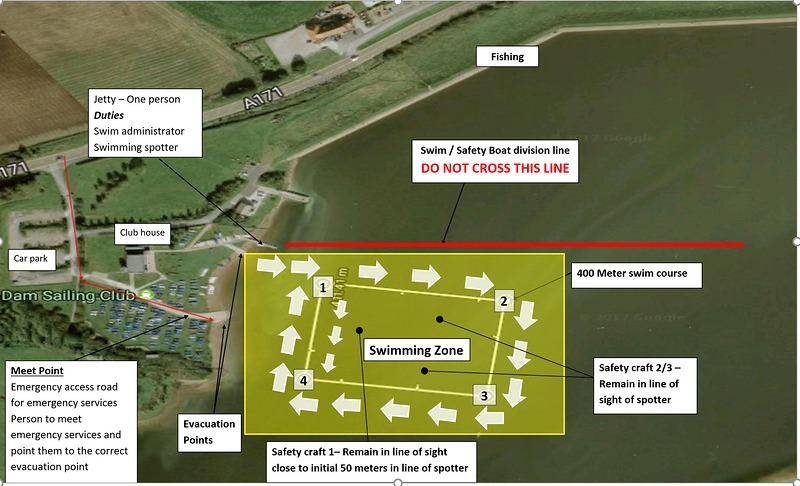 Please check on the Scaling Dam Open Water Swimming face book page for updates. On occasions times could change and sessions could be cancelled or added. £5 Pay on the day, includes free parking for all swimmers. Wetsuits are available to borrow free of charge. The 400 meter swim course is as below. 12yrs or over whom can swim 500m confidently. Children 16 or under MUST be accompanied by an in-water adult. Parental consent is mandatory. Water safety cover includes session leader, first aider, kayaks on a minimum ratio of 20:1 and a standby powered safety boat.